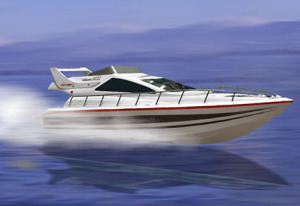 I just bought a speed boat – do I need insurance? The short answer is to check with your state requirements. In most states, speed boat insurance is not required, but that doesn’t mean you shouldn’t consider it. Boat accidents are more common than most would like to admit. No matter what our level of boating experience, accidents do happen and it’s important to protect yourself and your loved ones from unforeseen expenses should there be an accident. Property Damage Liability Coverage: Property damage liability insurance covers you in case you damage another boat, a dock, or other structure. Bodily Injury Liability Coverage: Bodily injury liability coverage protects you in case you injure another person while operating your speed boat. Collision Coverage: Collision insurance covers your boat and trailer if an accident damages your boat. Comprehensive Coverage: Whether you are driving, docking, towing, or storing your boat, it is at risk of many types of damage, for example vandalism. Comprehensive coverage covers instances like this. Are there any ways to make boat insurance more affordable? If you are a speed boat enthusiast, practicing safe driving and remaining claim-free is the best way to keep your boat insurance costs down. This summer have fun but make sure you, your loved ones and your boat are protect by practicing safe boating techniques and having the right insurance. Before hitting the water, check with your insurance agent to make sure you have enough coverage in case of an accident. With years of experience in Insurance, GR is committed to putting our client’s needs at the top of our priority list by providing them with timely and dependable service and educating ourselves on each of their specific needs. Thanks for the great boat insurance tips. It’s always nice to have a reminder of how to stay safe out on the water. Previous: Is travel insurance worth it? Next: Does homeowners insurance cover my home-based business? At GR we believe there is a better way of doing business… an easier way. “Do unto others as you would have them do unto you.” We believe that so much we decided to name our agency after it. If you are looking for auto, homeowners, business, health, or life insurance we treat every situation like it is, unique. We look at your protection through your eyes to evaluate your situation as if it was our own. 2014 © GR Insurance | All rights reserved.